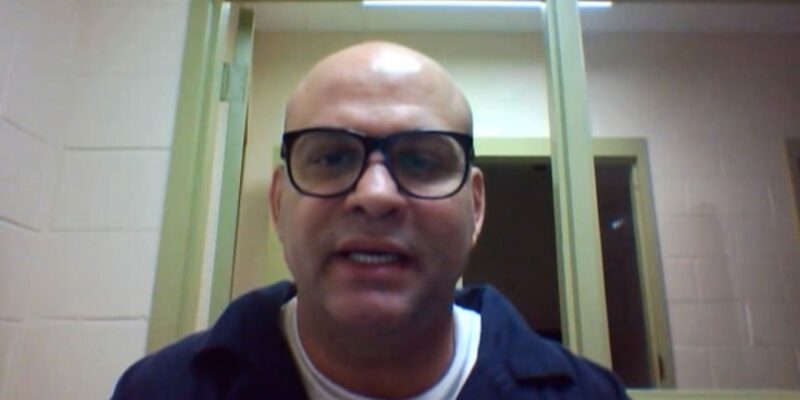 Extradited paramilitary chief Salvatore Mancuso said Tuesday that he supports an ongoing peace process with FARC guerrillas and accused state officials of trying to derail war crime investigations. The peace agreement with the FARC, regardless of whether you like it or not, must be complied with because it is the government’s word. I agree with the peace process with the FARC, and even if the guerrillas don’t pay a day of imprisonment as we have done, we must continue with it. Can Duque stop the AUC from blowing the whistle on his allies? Mancuso is the highest ranking AUC commander to express support for the peace process opposed by President Ivan Duque and his political patron, former President Alvaro Uribe. The former president has been accused of being complicit in multiple war-related crimes, including the formation of his own death squad, land theft and ties to the Medellin Cartel. Multiple leaders of the AUC, the former arch enemies of the FARC, have already expressed their support for the process and have accused state officials of trying to prevent Colombians from knowing the truth to protect the economic and political interests of alleged paramilitary financiers who benefited from the war. Mancuso went as far as to accuse members of top police and prosecution officials of trying to prevent him from taking part in the so-called “Justice and Peace” process that demobilized some 30,000 paramilitary fighters and obligated paramilitary leaders to testify before the court. The chief of the money laundering division, prosecutor Luz Angela Bahamon Florez, prosecutor Carlos Enrique Vieda Silva and the lead investigator of the Police’s [intelligence unit] DIJIN, Dickson Charrupi Moncada, in conspiracy with false witnesses Deivis and Leonardo Rojas Zabala, have been carrying out a criminal conspiracy against me in retaliation with the purpose of me being excluded from the Justice and Peace process and with that try to end the transitional [justice] process. The AUC demobilization process led to the incarceration of more than 60 congressmen, including Uribe’s cousin and members of some of the country’s most powerful political dynasties. But according to both victim organizations and their former victimizers, many business leaders and politicians who sponsored the paramilitary terror that started in the 1980s are still walking free. The AUC leaders’ commitment to again blow the whistle on their former sponsors and allies threaten to further discredit Duque and his hard-right administration and the president’s allegedly criminal allies. According to them, the government and the country’s business elite are trying to get away with the dispossession of land the size of Belgium facilitated by the AUC and corrupt state officials. Among the alleged paramilitary allies who were never called to court are Colombia’s current ambassador to Washington DC, Francisco Santos, the country’s largest bank, Bancolombia, multiple companies of RCN Television owner Carlos Ardila Lulle and thousands of other business owners, corporate media and state officials. Despite the ongoing accusations, the country’s prosecution has categorically failed to investigate these alleged war criminals. In fact, the president of Colombia’s war crimes tribunal last week accused Prosecutor General Nestor Humberto Martinez, a top lawyer who has been linked to some of the country’s biggest corruption scandals, of “categorically meddling with” war crime investigations and trying to “intimidate” judges. The United Nations, which is monitoring the peace process, last week also accused state institutions of threatening the peace process that seeks to end decades of violence and clarify the death of possibly more than 290,000 civilians and 50,000 soldiers, guerrillas and paramilitaries. The Duque administration in the meantime has continued to oppose key elements of the peace process that was agreed by his predecessor Juan Manuel Santos, the FARC and victims, and is widely supported by the international community.